Kimura loves to cross borders. In his younger years, he backpacked through over 35 countries. No wonder, then, that after joining Hakuhodo in 1992 he established a unique planning and creative style that eliminates the boundaries of strategic, creative, digital, PR and media development and works seamlessly through the entire process. In the last decade, we have acquired an enormous variety of communication methods using new media and new technologies. This has enabled us to create much better solutions for our clients and society. 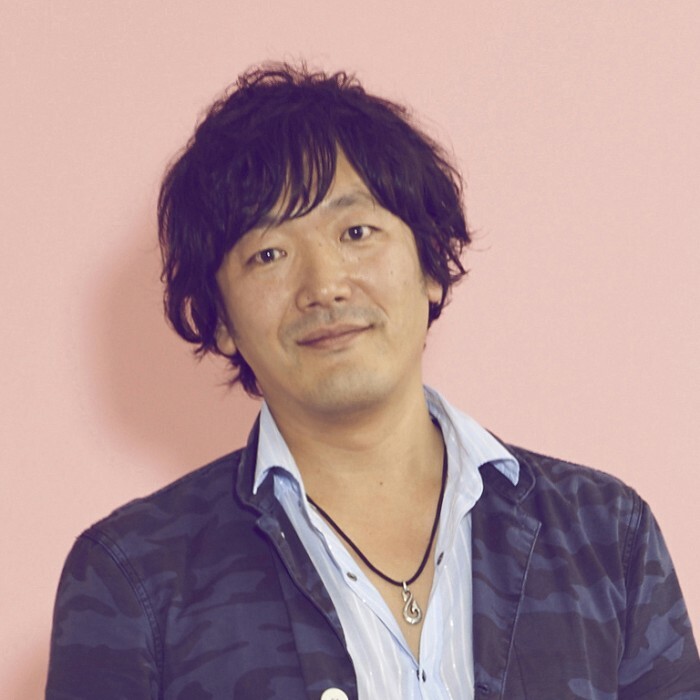 To lead this dramatic change, Kimura in 2006 established Hakuhodo Kettle, a new type of creative agency that plans and implements innovative campaigns that often go beyond the bounds of traditional advertising methods. Truly innovative ideas can come from anywhere. For this reason, everyone at Kimura’s company is familiar with every field of communication. Bubbling up and serving his clients new ideas, his goal is for Hakuhodo Kettle to set the whole world aboil. Kimura has won over 100 international awards, including 10 Lions at Cannes, 2 Grand Lotuses at Asia Pacific Advertising festival, 2 Grand prix at Adstars, Grand prix at New York Festivals, as well as D&AD yellow pencil, New York ADC gold, CLIO gold, London International gold, and Spikes Asia gold, for “Memories for the Future” and “Hatsune Miku” for Google, “Bravia Color Tokyo” and “Recycle Project JEANS” for Sony, “Peace Mirror” for Shiseido, “Hibiki Glass” for Suntory, “Dear Japan, from Phuket,” and more. Kimura has served as a member of the promo jury and Titanium & Integrated jury at Cannes Lions, Promo & Direct Jury president at Asia pacific Ad Festival, London International Awards Film & Integrated jury, CLIO Awards film jury, Spikes Asia traditional jury; and as executive jury at New York Festivals. He has given speeches at Cannes Lions in 2013 and 2014. He dreams of retiring so he can travel even more, but will never realize this dream as he loves his current occupation too much.